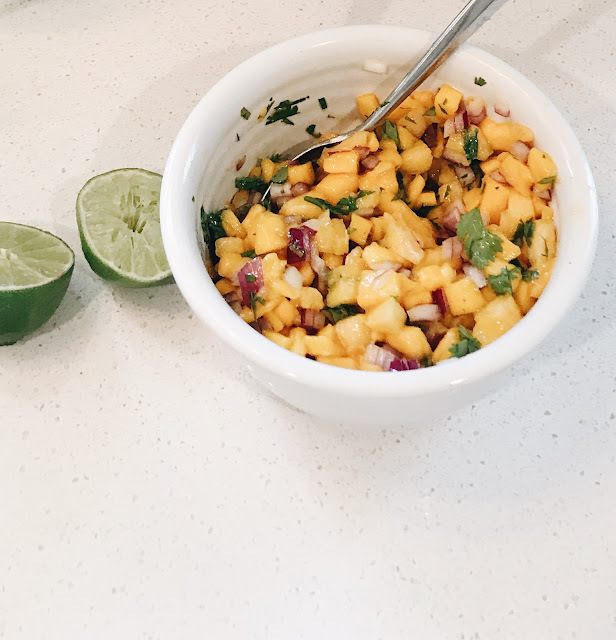 I am always trying to find simple ways to make our go-to weeknight meals a little more exciting, so tonight I'm making shredded chicken tacos and topping them with a mango peach salsa that took me (literally) less than 5 minutes to throw together! I want to make this for fish tacos! Yum!